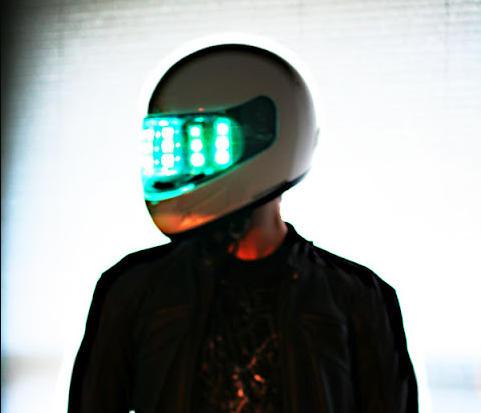 Oh the grandest of plans I had, to create an ultra slick Daft Punk Helmet replica (as others have done), alas time ran out so I just crammed one together. A bunch of ShiftBrites (stolen from my Wine-O-Meter) driven by an Ardunio, mounted on some clear plastic and shoved inside one of my motorcycle helmets. Definitely not a high end deal, but it certainly was fun and made for some pretty swag photos. As a side note, this used horrible sledgehammer style coding as it was a rush job, keep that in mind if you use the sketch below.